Operating in harsh conditions can present serious challenges for companies across various industries, but deadlines must be met no matter how extreme the environment. Severe weather, in particular, can affect all types of industrial processes and equipment. As summer’s temperatures reach their peak, keeping your facilities cool is important for maintaining comfortable working conditions. Cooling commercial spaces properly means finding the right balance for employee comfort, temperature/humidity control, and energy use. In manufacturing operations where additional heat is generated by machinery, and in warehouses where goods must be stored in constant environmental conditions, cooling systems are vital mechanisms. The question of how to provide the best cooling for industrial applications has been around since the earliest days of the industrial revolution. When equipment is functioning at a high level, it often produces heat that needs to be dissipated, and today, facilities are using systems that are more advanced than ever. With the advances in technology that are so commonplace in today’s industrial landscape, many systems are being designed to provide the greatest power possible in the smallest possible space. 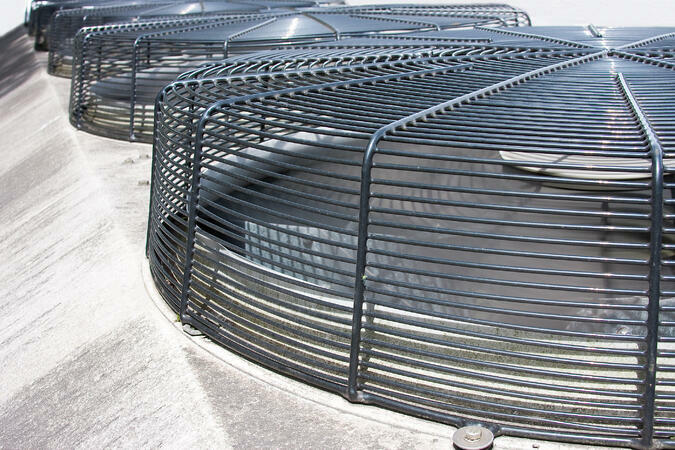 These systems can run the risk of overheating if they are not designed with an appropriate cooling mechanism. Overheated equipment can pose many risks, including poor performance of equipment, early component and lubricant deterioration, overall system malfunction, and ultimately the possibility of fire and other safety risks for users and operating personnel.